Katie Krueger’s work in the news. Katie Krueger writes grant applications for nonprofits via her company, Find Funding. Here are her tips for better outcomes – share them with your favorite nonprofit leader! Travel Inspires Book, Nonprofit for Katie Krueger Page 9. Interview with Lori Gross, Here on Earth. Sometimes starting a successful new business is as easy as having everything else in your life go wrong. Want to get work with no grueling job interviews and where no one can fire you? Self-employment may be a great opportunity right now. The sight of children in tattered clothes living with their parents in a tent in Senegal inspired three U.S. Rotary Foundation Scholars — Katie Krueger, Ling Ling Phung, and Natalie Domond — to start a school lunch program for underprivileged students there in 2003. 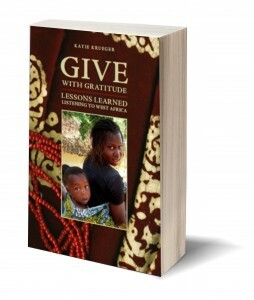 GIVE: what a fine book! Full of wonderful insights, great stories and characters. I picked up your book in one of the Little Free Libraries in town and started reading it a couple days ago. Full of wonderful insights, great stories and characters. Having led quite a few student trips to Latin America and Asia, I will be recommending it as part of orientation in the future. Beyond that, I’d love to know more about your work and whether you might entertain getting involved in Little Free Libraries around the world. 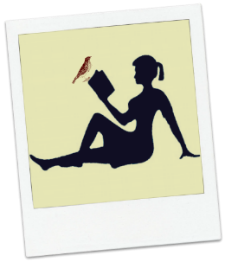 We’re about to transition to a completely new website and would be happy to promote you, your book, talks, online course and writing. I would be grateful for the chance to explore the possibilities with you. Give me a call and we can meet somewhere. I’ll be at the Farmer’s Market tomorrow morning and pretty free all next week. Live and work on the near west side of Madison.